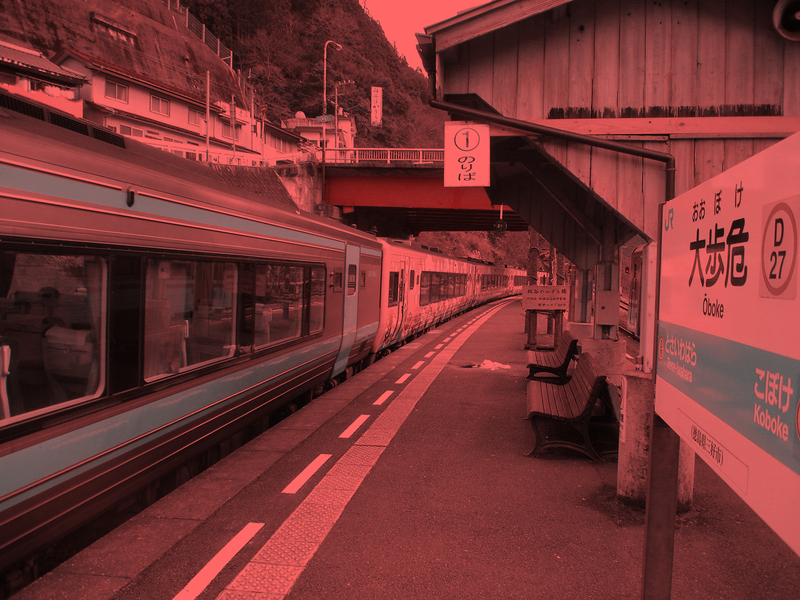 "Illusory red with additive color change"
There appear to be illusory red though this image consists of pixels of cyan hue. 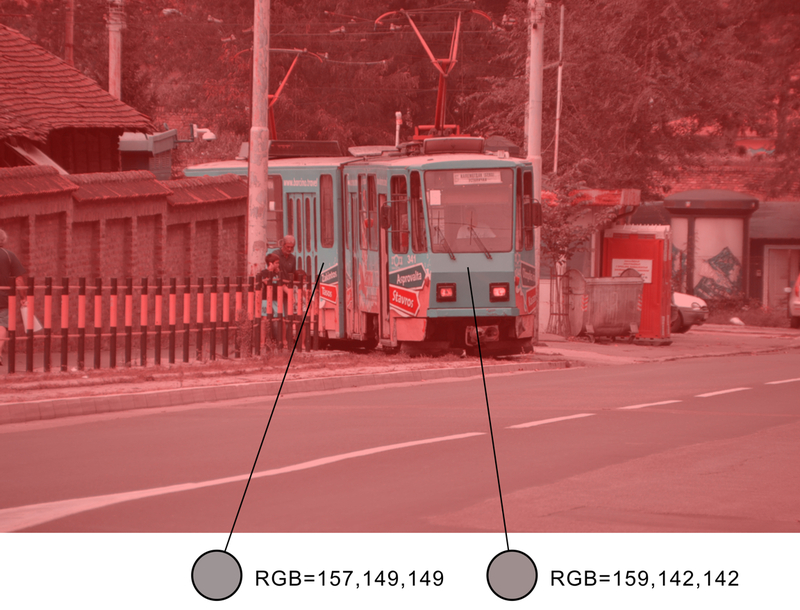 "Illusory red with two-color method"
"Illusory yellow in a color checker"
These photos consist of pixels of blue hue, but some color squares or cards appear to be yellowish. 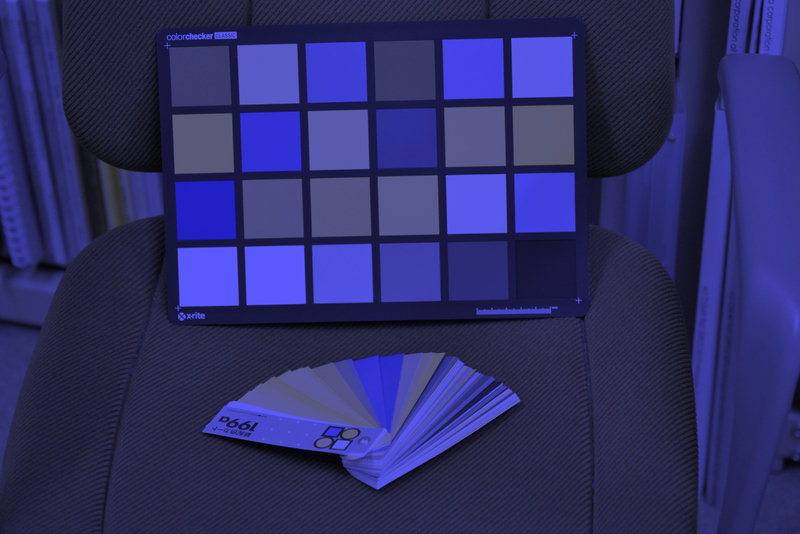 "Illusory light blue in a color checker"
These photos consist of pixels of red hue, but some color squares or cards appear to be bluish. 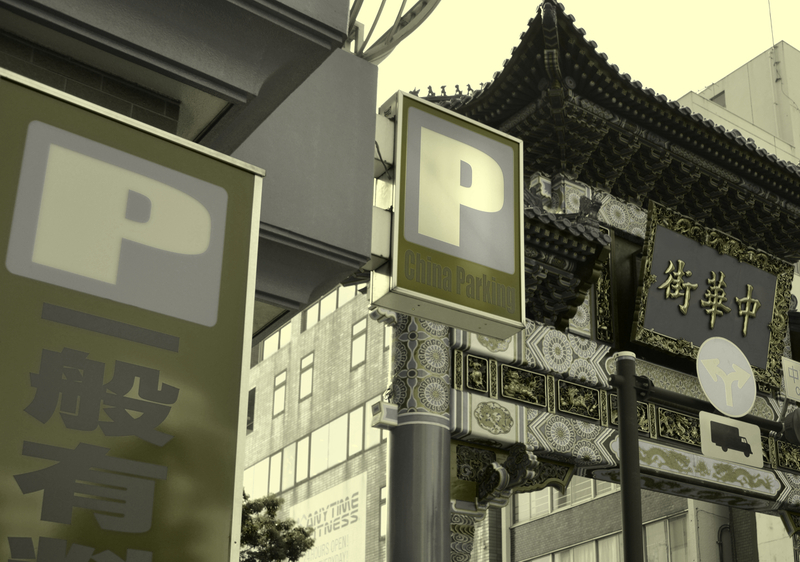 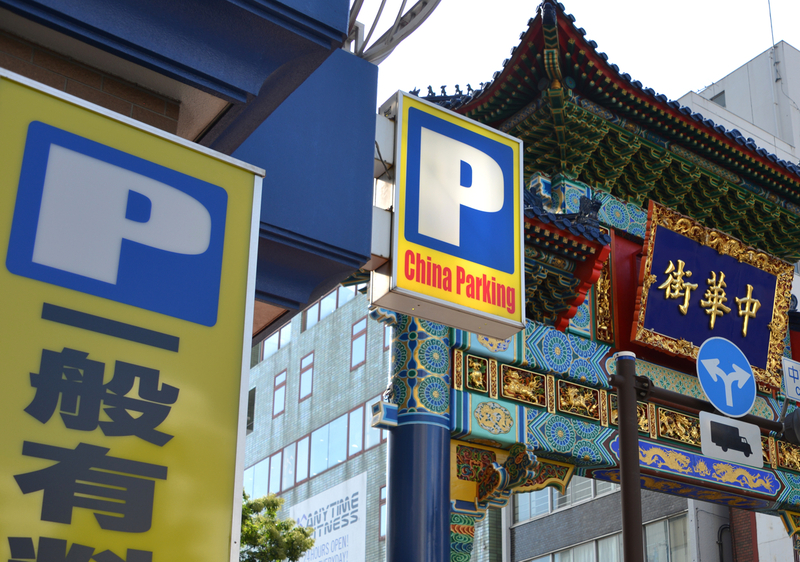 These photos consist of pixels of yellow hue, but the backgrounds of "P" or "中華街" (China Town) appear to be bluish. 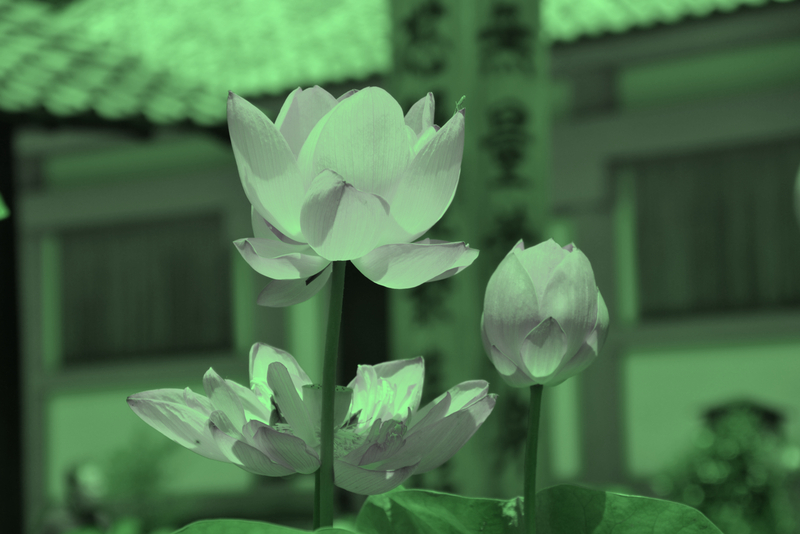 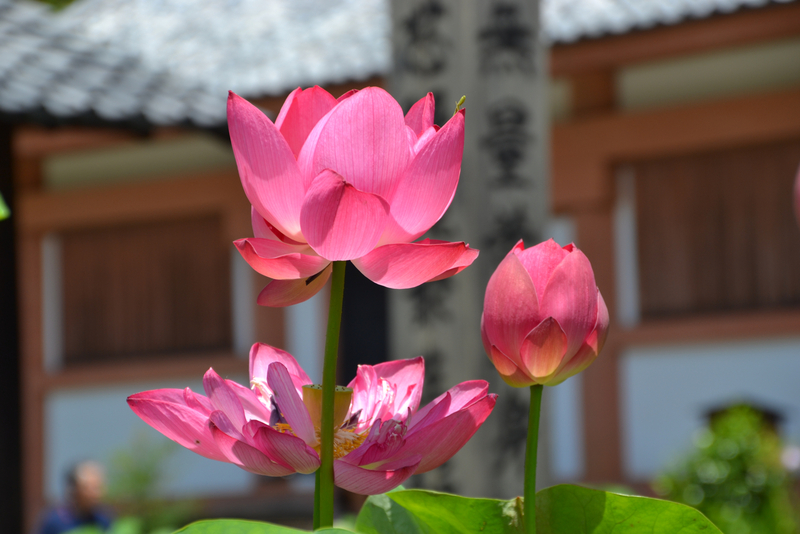 These photos consist of pixels of green hue, but lotus petals appear to be reddish. 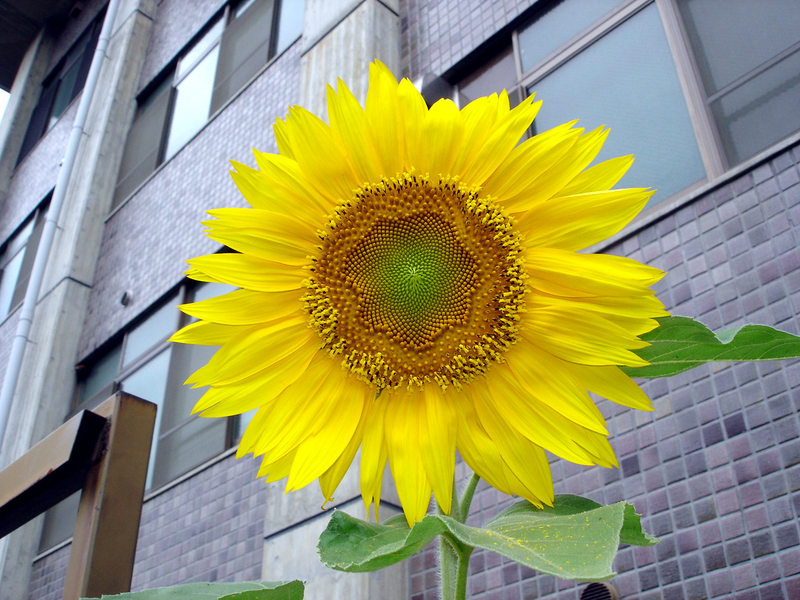 These photos consist of pixels of blue hue, but sunflower petals appear to be yellowish. 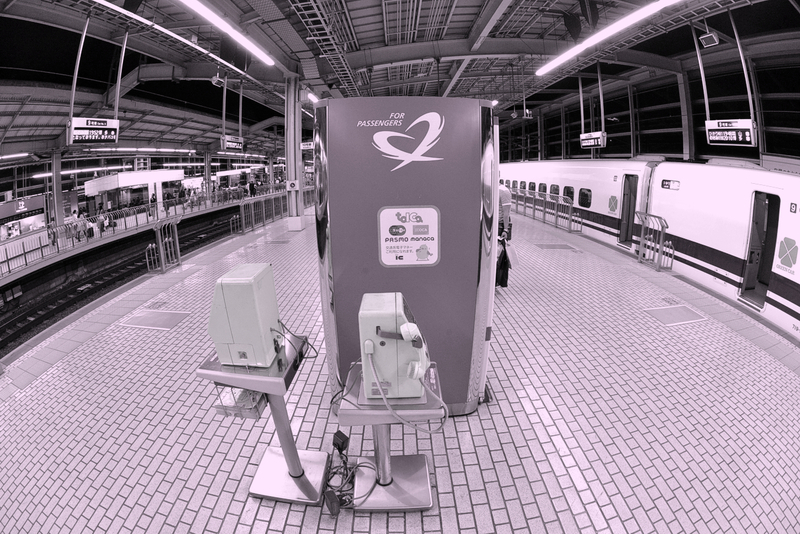 These photos consist of pixels of magenta (light red-purple) hue, but the two telephones placed in front of a vending machine appear to be greenish. 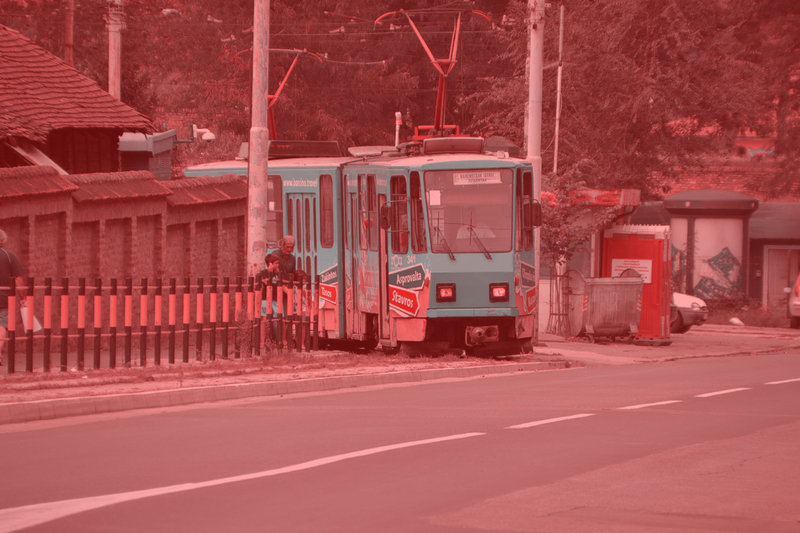 These photos consist of pixels of cyan hue, but the tram appears to be reddish. "Serbian tram with Land's two-color method 2"
The tram appears to be slightly bluish, though the image consists of reddish hue. "Serbian tram with additive color change"
The tram appears to be slightly bluish, though the image consists of red hue. 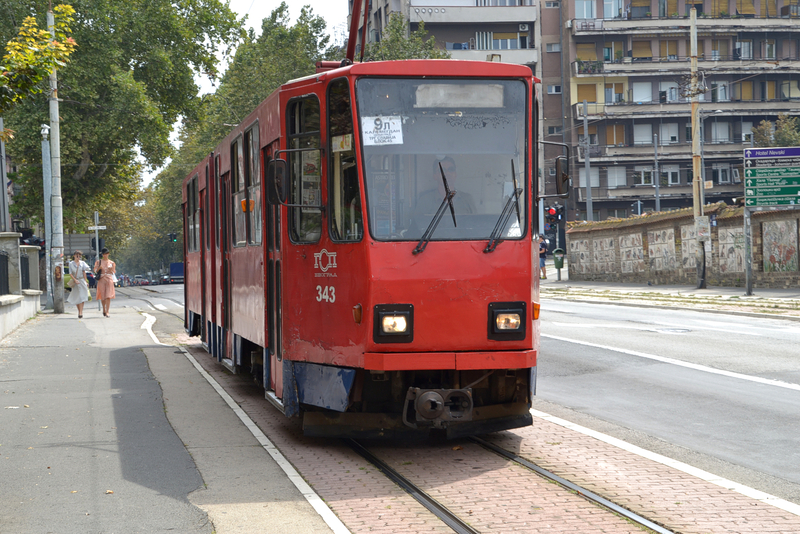 "Serbian tram with Land's two-color method"
Additive color change: The tram appears to be bluish, though it is not blue but nearly-gray reddish color. "Color contrast illusion with Land's two-color method"
The images except the original image consist of reddish colors and gray, but some blocks appear to be bluish. 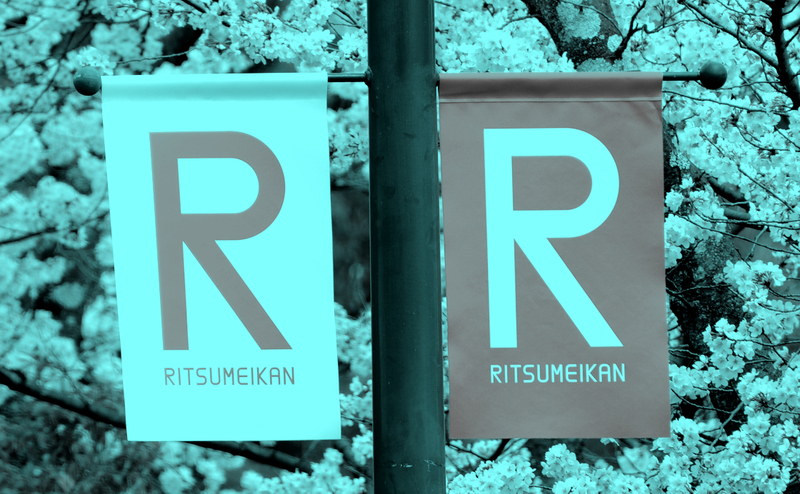 "Color contrast illusion with Land's two-color method 2"
The images except the original image consist of cyan colors and gray, but some blocks appear to be reddish. 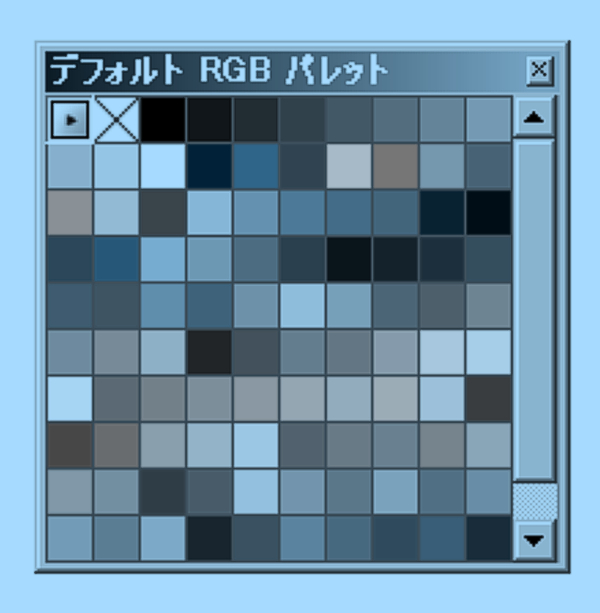 "Apparent light blue is actually reddish"
"Apparent light blue is actually nearly-gray reddish"
The right eye appears to be reddish though it is the same greenish blue as the left eye. 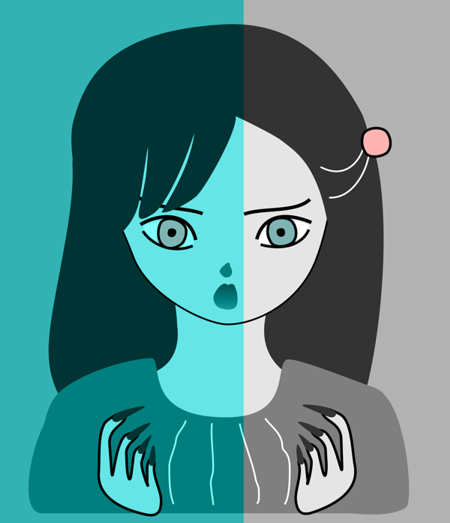 The right eye appears to be slightly bluish though it is the same gray as the left eye. 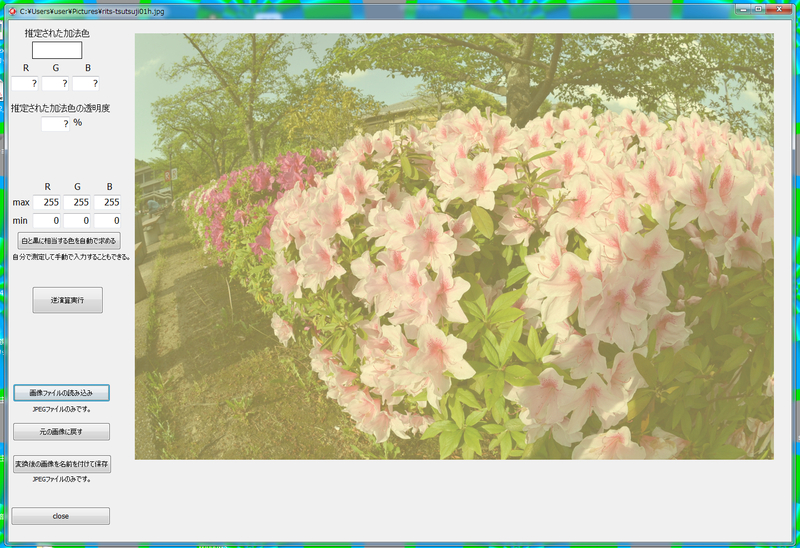 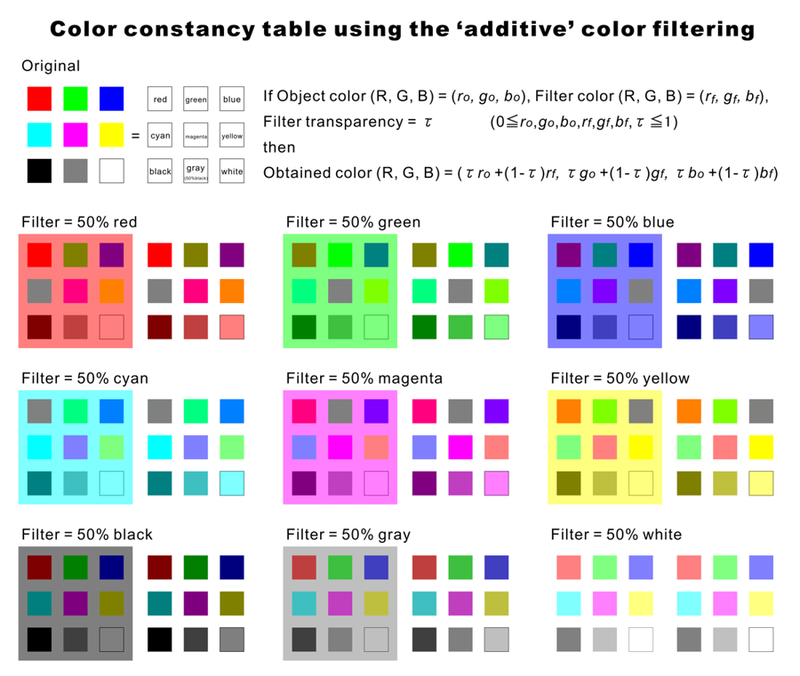 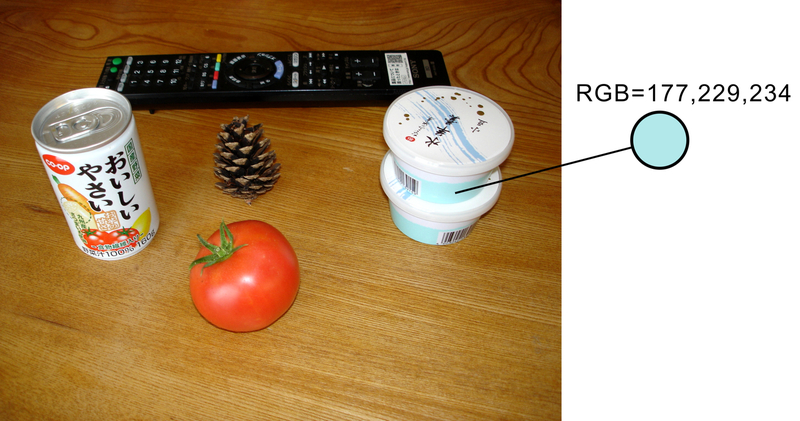 "Inverse transformation of an additively-color-filtered image using a new program"
Kitaoka, A. (2011). 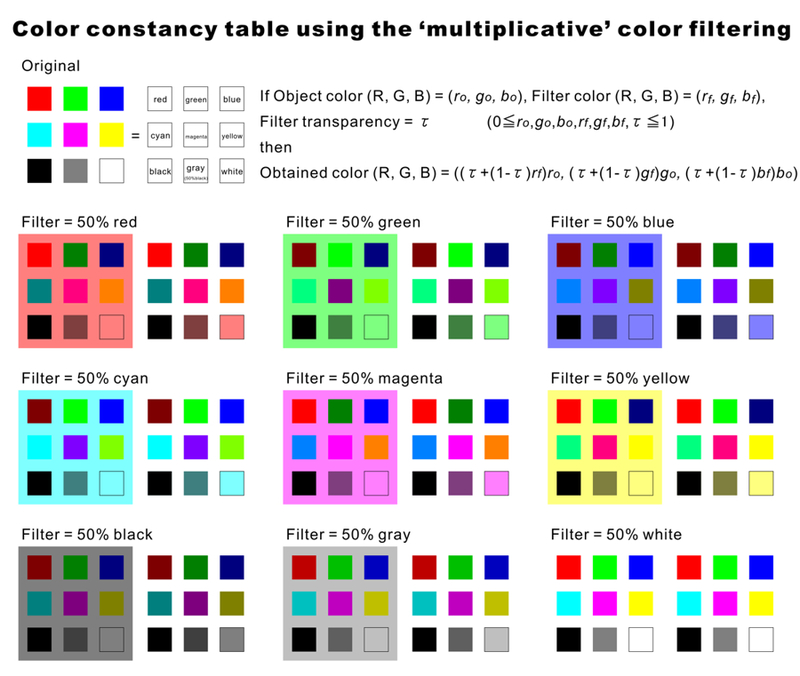 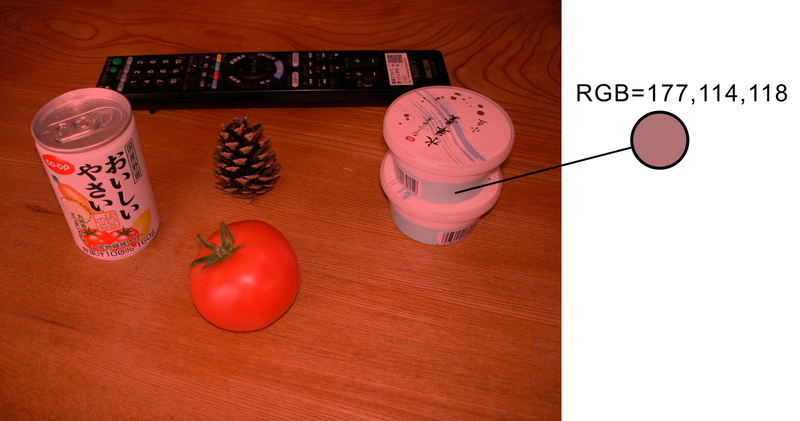 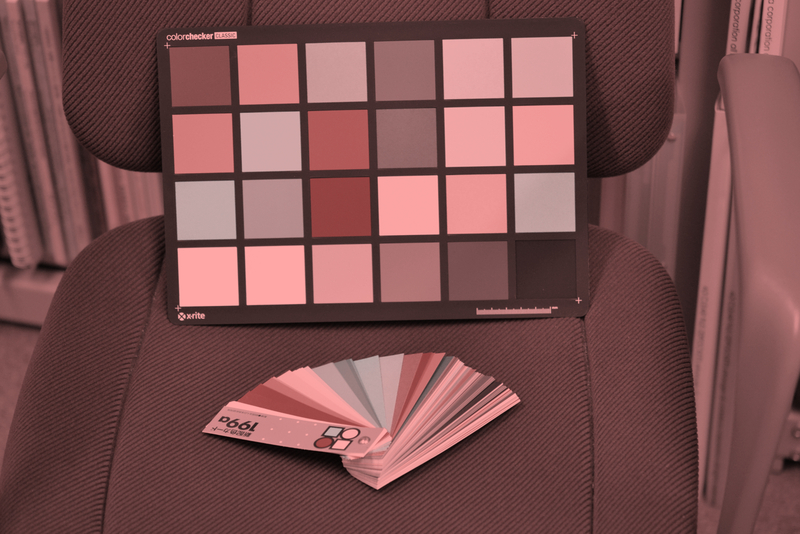 A variety of color illusion: (2) Color constancy and two types of color filters. 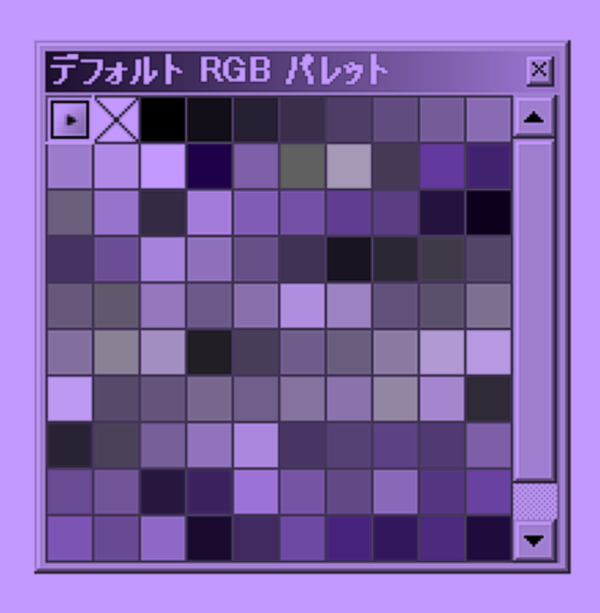 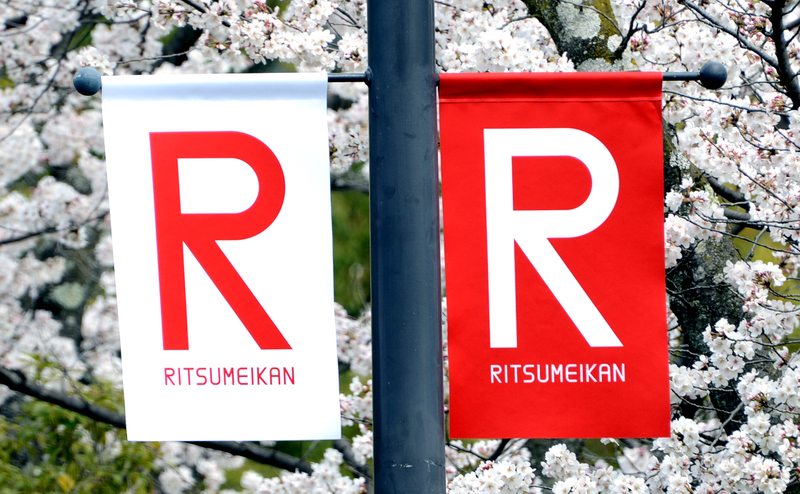 Journal of the Color Science Association of Japan, 35(3), 234-236 (in Japanese).